Hello everyone.Last week I was finished this custom great war sword.Blade is bloomery steel,partially hardened.Inlays are gold. VERY nice. I really love the red grip with black risers. Is there a slight downward curve to the guard, or is that an optical illusion? Gorgeous! Such crisp lines. I love it! Impressive. 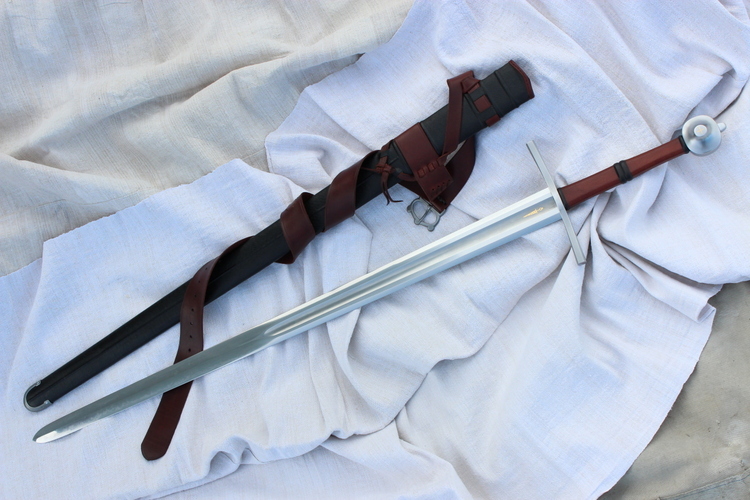 I love some early longswords! Is edge sharp or blunted? Beautiful sword. Very well done! Looks very, very nice. Good job. Wow! Very cool... In the pictures on your site, is that "Hamon" formation? Beautiful material. Strong sense of style. Great proportions. All I can say is I really like this sword. A nice sword, if a little later than my interest. I know this is about the new sword, but I just wanted to say that I usually can't get into your website. But this link allowed me to see your gallery. Just stunning work! I would dearly love to have one of your migration era spathas. I can's say enough about the beauty of your work. I love your Viking types swords in the gallery. The Type Q speaks to me for some reason. I am not sure how much one of these would be, but I will have to start saving my pennies. Stunning metalwork - and I love the two tone effect on the grip. Is that actually done with separate leather? Or just very careful dying? Wow-----that is truly a beautiful sword. "You see, a sword is three feet of tempered steel---with death dancing on every inch, and hanging like a dark star on the very point." Sword is very sharp,and blade have hamon and some utsuri effect as well.Guard is little curved. Damn, what a beautiful sword. Great work. How much does it cost the owner to have you made the sword? Simply stunning. 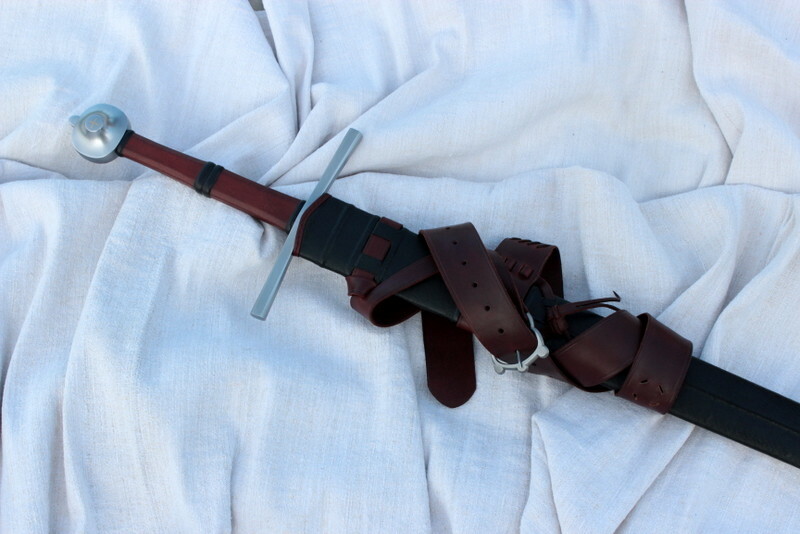 Probably the cleanest and most majestic modern reproduction of a great sword of war I've yet seen. Nicely photographed too. Well done. Not sure how I missed this. And I just noticed that it is bloom. Wonderful Robert. Such an inspiration.. your work will affect what I do for some time. I'm glad to see you've done this in bloom. I hesitate doing this with such long blades as the modern criteria of performance infects me.. sadly. I'm very glad to see there is interest in bringing a blade like this to life. Truly a magnificent great sword. Simple, elegant, deadly.